Former World Cup referee Hugh Dallas has stepped down as head of referees in Greece after an attack on an official. Matches in Greece have been suspended indefinitely after referees' committee official Christoforos Zografos was violently attacked. 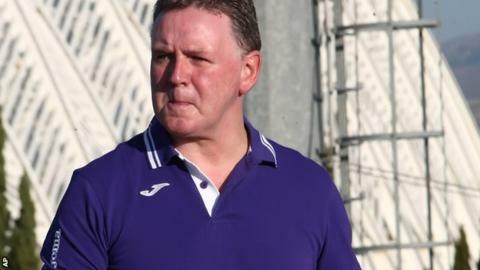 The retired Scottish referee was given the job after pleas from Greek clubs for a foreign official following several match-fixing scandals. Dallas, 57, was infamously struck by a coin in an Old Firm game in 1999. Pictures of Dallas, crouched on one knee with blood streaming from a head wound, are among the most stark images in Scottish football. He also refused to give up refereeing when a scaffolding pole came through the window of his home. However, he was sacked as the head of referee development by the Scottish Football Association in 2010 after being accused of sending a tasteless e-mail. Dallas, who officiated at the World Cups in 1998 and 2002, will stay on as head of training for referees in Greece.